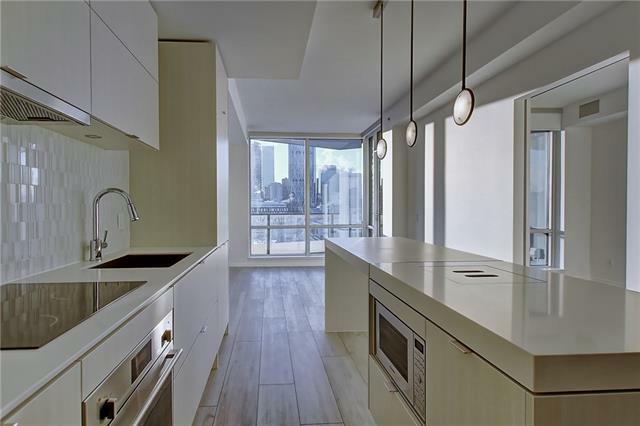 Welcome to East Village, modern living at its best! 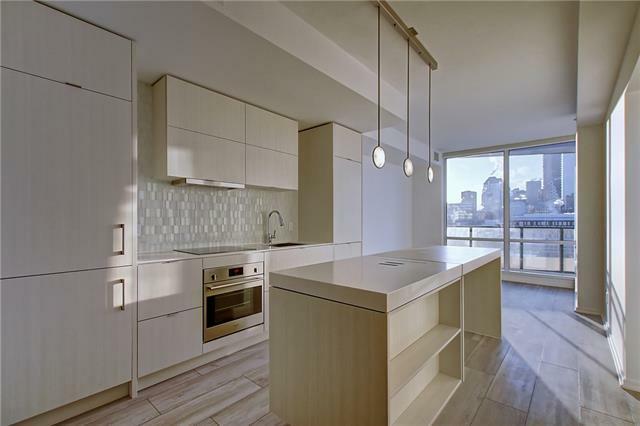 This one bedroom plus den unit features an open concept floorplan with wide-plank flooring throughout. Large west facing windows flood this unit with light, making it a very pleasant and bright space. The open concept kitchen with integrated appliances and quartz counters, tile back splash and a large island make you feel right at home. The dencould also be used as office, eating area, or storage area. The living room and master bedroom have unobstructed views to the west, with a spectacular view of the Calgary Tower. Enjoy your balcony during the warm days of summer coming up! 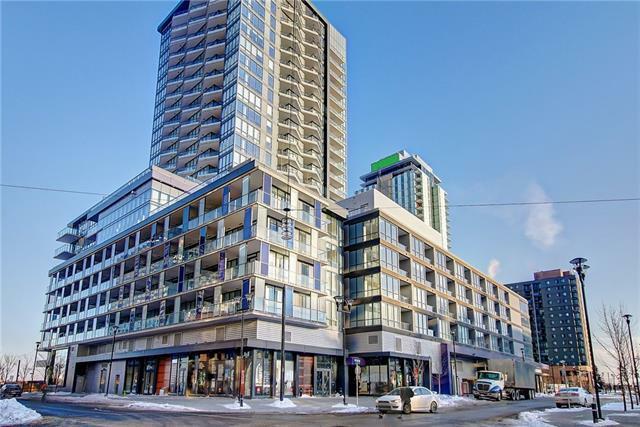 This condo is completed with in-suite laundry, an underground parking stall and storage locker. The many amenities of The VERVE will be sure to please the most discerning buyer: there is a full gym, outdoor terraces, and 2 guest suites. C train is walking distance, as well as the river pathways and Stampede grounds. 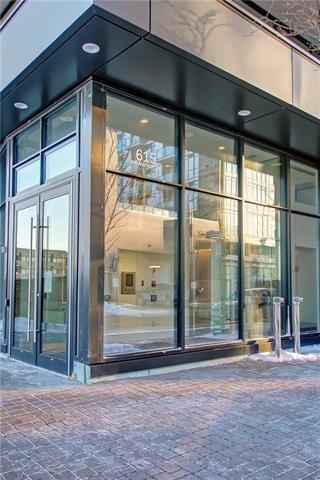 This condo will include close to a year worth of free cable.